Host Color Review 2019: Is Host Color a Good Hosting? For over 15 years, Host Color has been providing premium web hosting solutions to businesses across the globe. With multiple data centers in several countries, the company has been quite effective in their provision of high-availability hosting. Host Color’s roots extend as far back as 1999, though HostColor.com would not be created until three years later, when Host Color was established as a legal entity. The company has been providing web hosting solutions ever since. The U.S.-based company provides a variety of premium web hosting solutions backed by multiple data centers across four continents. Ironically, the long list of hosting options can be a challenge for new users trying to figure out which plan is best for their website. But a closer look reveals that Host Color offers certain unique features that has helped the company stand out in an increasingly crowded hosting landscape. For instance, Host Color provides a high-availability and fault-tolerant cloud to ensure 100% business continuity and that all the websites they host don’t experience any noteworthy downtime. 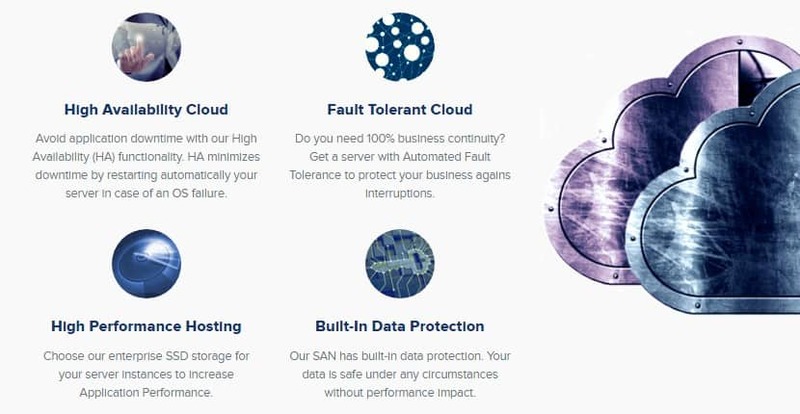 Further, their SAN features built-in data protection, so regardless of any catastrophes (or perhaps just mistakes), you’ll always be able to recover and restore your data. Host Color also uses enterprise-level SSD storage to improve the performance of their customers’ websites. They’ve also doubled the PHP memory limit of their cPanel shared hosting services, which gives you far more stability even with the most resource-intensive PHP scripts and applications. Plus, since Host Color’s shared hosting services are hosted on a cloud infrastructure, this means better reliability and uptime for your server. You even get a dedicated IP address and domain-validated SSL certificate with their higher-tier shared hosting packages — which further helps your SEO rankings and email marketing efforts. Host Color offers practically every kind of hosting solution you can think of at reasonable prices. While their many hosting plans can be confusing to sort through, the company is very transparent about these plans and works to ensure that there are no hidden tricks and costs that are common with many hosting providers. Because of their cloud infrastructure, it’s easy to scale your packages up or down when needed. This means even more flexibility, particularly for businesses that anticipate traffic spikes or lots of growth in future. It’s also possible to customize your own hosting package. The U.S.-based Host Color support team is available 24/7/365. The best way to contact them is through their support ticket system, but you can also contact them using their American telephone numbers, email, and the live chat on their website. However, note that the solutions provided through the live chat are limited; if you have a more complex issue and want fast and comprehensive solutions, you have to contact Host Color through their ticketing system. In my experience, Host Color responds quickly to support tickets submitted. I got a response to my long list of questions within an hour. However, when I contacted Host Color through their live chat, there was a considerable delay before I was connected to someone who could answer my questions. That said, the representative I communicated with was polite and helpful and my queries were adequately addressed. Host Color offers a long list of hosting plans for websites of all types and sizes. The ability to customize a hosting solution will be particularly attractive to many webmasters. Wondering how Host Color stacks up against other Web Hosting companies? Enter any other Web Hosting company and we will give you a side-by-side comparison.